DEC’s I FISH NY program is offering the event in cooperation with the US National Park Service. Fire Island, NY - June 3, 2014 - A free surfcasting clinic will be held on June 11 at Smith Point Wilderness Center, Fire Island National Seashore from 6 - 8 p.m., New York State Department of Environmental Conservation (DEC) Regional Director Peter A. Scully announced today. DEC’s I FISH NY program is offering the event in cooperation with the US National Park Service. Free loaner fishing rods and tackle, supplied by I FISH NY, will be available for use at the clinic. The event will begin with basic fishing instruction. This event is geared toward ages ten and up. No fishing license is needed for this event. Space is limited; please call I FISH NY at (631) 444-0283 to pre-register. For information about freshwater fishing on Long Island, please call the Bureau of Fisheries at (631) 444-0280 or click here. The NY Open for Fishing and Hunting Initiative is an effort to improve recreational opportunities for sportsmen and women and to boost tourism activities throughout the state. This initiative includes streamlining fishing and hunting licenses, reducing license fees, improving access for fishing and increasing hunting opportunities in New York State. The Free Fishing Days program began in 1991 allowing all people the opportunity to sample the incredible fishing New York State has to offer. 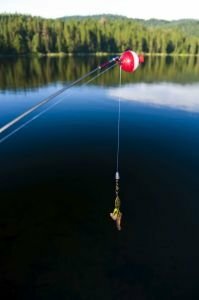 New York State designates the last full weekend in June as Free Fishing Days. During those two days, anyone can fish New York State waters, and no fishing license is required. Since no license is required, it is the perfect time to take a friend or relative fishing. In 2014, New York State's Free Fishing Days are Saturday and Sunday, June 28 & 29. Additional statewide free fishing dates will be announced this summer. Details: This event is geared toward beginner anglers and is appropriate for ages ten and up. The event will begin with basic instruction on local saltwater fish species, fishing regulations, and surfcasting techniques. Loaner rods and tackle will be available to participants for open fishing from the shoreline at Smith Point Beach. Pre-registration is required. Subject: LongIsland.com - Your Name sent you Article details of "DEC Offers Free Surfcasting Clinic in Smith Point, Fire Island National Seashore"